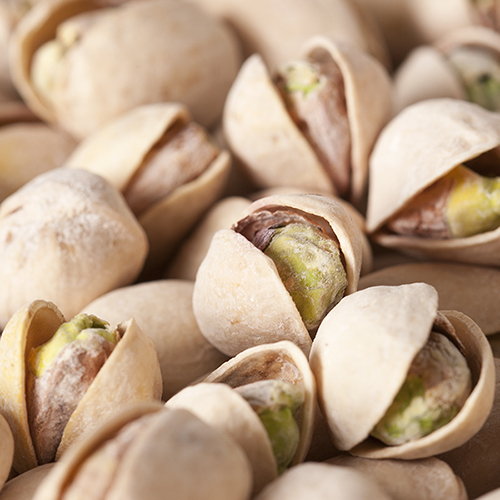 Our fresh dry roasted pistachios ground into pistachio butter - nothing else added. The flavor is rich and intense. 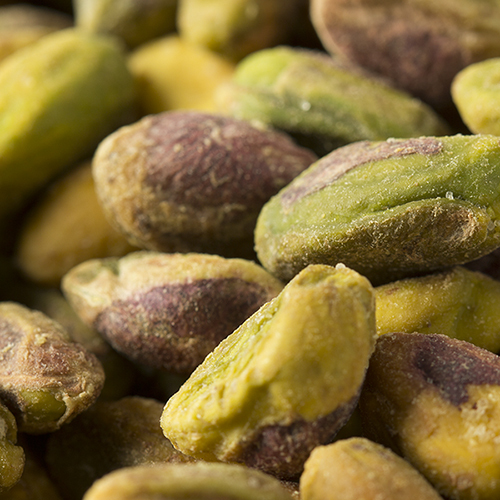 Due to the natural character of pistachios being low in natural oils and the fact that we do not add oil, the consistency of pistachio butter tends to be more dense and lower in moisture than most nut butters; consistency and color vary from batch to batch. Non-flavored oil may be mixed in to thin the pistachio butter if it becomes too dry, if desired. NUTRITION FACTS: Serv. Size: About 2 tbsp (32g). Servings: About 14. Amount Per Serving: Calories 190, Fat Cal. 130, Total Fat 14g (22% DV), Sat. Fat 1.5g (9% DV), Trans Fat 0g, Sodium 0mg (0% DV), Total Carb. 9g (3% DV), Fiber 3g (13% DV), Sugars 2g, Protein 7g, Calcium (4% DV), Iron (8% DV). Not a significant source of Cholest., Vitamin A or Vitamin C. Percent Daily Values (DV) are based on a 2,000 calorie diet. ***May contain traces of sea salt. LOVE this product and have gotten it a few times before, but this time around, it's VERY dry. Aug 18, 2018 | By Chuck T.
The cashew butter and pistachio butter are delicious beyond words! I usually just eat it straight from the container. They can be used anywhere peanut butter would be. I never knew a nut butter could taste this good. 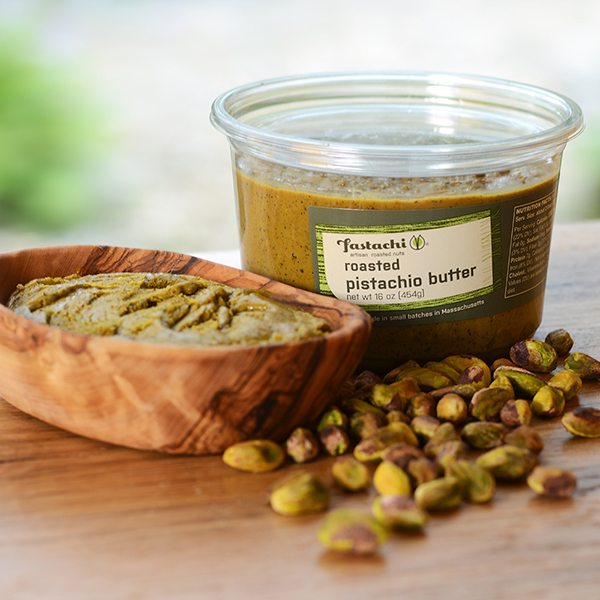 I've ordered it before, but each time I'm as in love with this pistachio butter as the first. I highly recommend it. 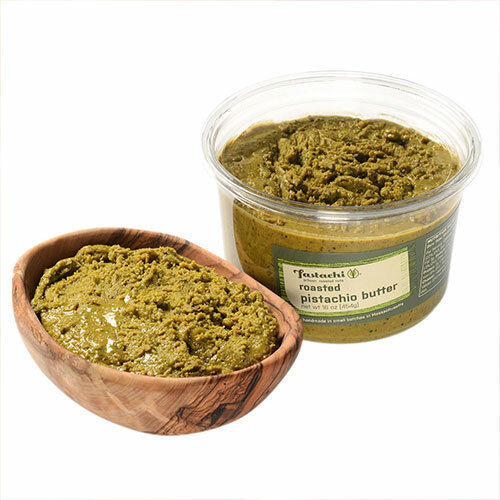 Imagine your one of your favorite flavors, pistachio, in a butter and you spread it on toast! Hmmm! This nut butter is delicious and I love it! I'm a pistachio lover from birth and I'm going to have to portion control myself! Love it! My favorite ever, it's delicious! Fastachi Roasted Pistacchio Butter is simply amazing! I eat a couple tablespoons every day. It's so good, I could eat the entire container in one setting! The taste is so fresh, out of this world! I only wish it came in a BIGGER container! What can I say about your roasted pistachio butter? It is AMAZING! The first time I purchased, I bought just one container and within three days it was gone! My daughter and I absolutely love it! Seriously, it is so delicious and it is very addictive, LOL. 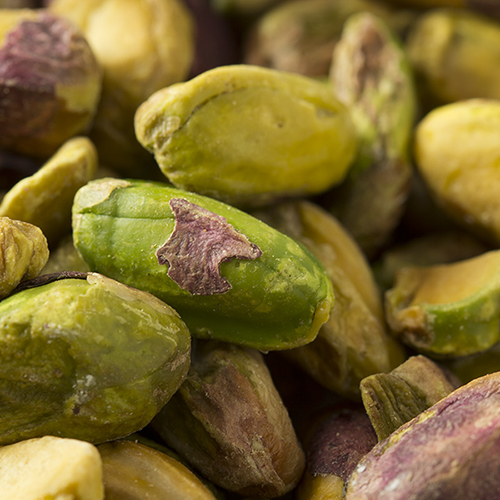 We love how fresh the pistachio butter tastes. My next purchase was just a week ago and we bought three containers and the first container is already finished! We eat it just plain right out of the plastic tub. It is beyond delicious. My only suggestion would be to please sell this in a much LARGER container. I would buy it in a heartbeat! I bought this pistachio butter as a novelty gift for my father, and he seemed to really enjoy it, as it tasted as it should: Like roasted pistachios. Delicious but a little drier than i'd like. I sent this to my father for christma. It was a huge hit and i will absolutely be buying more in the future! He loved it! just like eating mouth ful of pistachios. used on toast, with cinnimon and drizzel of honey. ummm. going to make peanutbutter pie only using pistach. instead. By far best fasting nut butter, but slight dry. Amazing flavor and texture. I put it in oatmeal, put it on bananas, and eat it raw. I prefer your nut butter because unlike your competitors, you do not add oils. The finishing taste of this is fantastic.